I’ve previously posted on the Ketogenic Diet and cancer. Dr Reinwald’s talk was especially interesting to Peter and me because it concerned a variant of the ketogenic diet we had never come across before – the Hyperketogenic Diet. In the “normal” ketogenic diet, in order to get the body to produce ketones, there are strict ratios between the intake of carbs, protein and fats: 75%-80% is fats and oils, 15-20% protein and 5% green, leafy vegetables. 0% sugars. The hyperketogenic diet goes even further: 90% fat, 8% protein, 2% carbohydrates. If you’ve already read my post on Prof Dr. Luca-Moretti and the importance of proteins, the hyperketogenic diet seems impossible – who can survive on 8% protein? 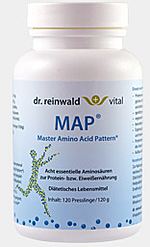 And if you’ve read the same post, you’ll probably be one step ahead of me: aha, with MAP supplying all the amino acids you need, you can. Restricting the level of protein also lowers the level of glutamine, an amino acid. Glutamine apparently fuels the growth of cancer cells – this is not contained in MAP. Interestingly, the origins of the word “ketone” come from the German language – Aketone [for acetone] which became keton and then ketone in the mid-19th Century. I particularly enjoyed Dr Reinwald’s talk for its intriguing inclusions of biblical quotations in support of the ketogenic diet/fasting! What is a ketone? It is made up of 3 Nitrogen and 1 Oxygen atoms, acetone, acetoacetat, beta-hydroxybutyric acid (an emantiomer). The latter is found in both dextro and levro forms (dextro being glucose). Ketones were discovered in the middle of the 19th century as a result of research into diabetes. Ketone bodies were then still associated with incomplete fat burning. People believe that fat burns in the fire of carbohydrates. However, ketones (which were thought to be unhealthy) were found in the urine of healthy people. Starvation and the brain’s survival mechanism: Marie Krieger is the author of “About organ atrophy during starvation 1921” which was research conducted into starvation metabolism and people who died of starvation in 1918/1919. Autopsies showed that all inner organs had shrunk by 40% with the exception of the brain (which had shrunk by a mere 2-5%). There was the Minnesota Starvation Experiment at the end of 1960. As it says on the tin, the experiment attempted to simulate the effects of famine on individuals – it was a year-long experiment and probably wouldn’t be allowed today for ethical reasons. People at that time thought that the brain was supplied by glucose. The brain represents 2% of the body’s weight, yet it demands 20% of the body’s overall energy supplies, and 100-150g of glucose. After 31 days of fasting, glucogenesis (the formation of glucose through the breakdown of glycogen) sets in from 55g to 32g sugar. But the brain needs 150g glucose to survive. So where is the glucose coming from? After 61 days fasting, where is the residing energy coming from? What metabolism fills the gap? 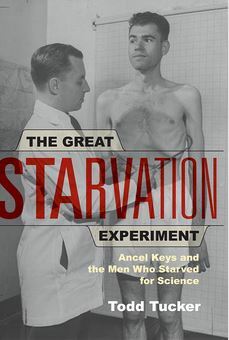 Dr Ancel Keys who was the lead investigator of the Minnesota Starvation Experiment also led the way in rethinking the starvation metabolism. Professor Dr. George Cahill was also interested in the effect of hunger and fasting on metabolic pathways and ketose processes and undertook a 6-week analysis (not allowed today because of ethical reasons). 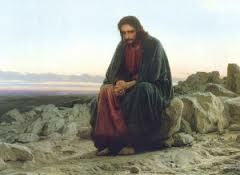 Matthew 4:2 – After fasting for 40 days and nights Jesus was hungry. Fasting has its biblical precedent. What happens after 40 days? Retina starvation. Ketogenic diet – fat slightly increases, blood glucose decreases, ketone bodies increase. Glucose is replaced by fatty acids. Brain reduces glucose intake by 20% and the rest is supplied by ketones. Measured as 2.78-3.33 basal insulin level. 0.6-2.6nmol ketone level. The speed of getting into the state of ketosis is five times faster in newborns, and four times faster in adolescents – speed of ketosis. We shift the child away from ketogenesis by changing from mother’s milk to soy. We need fat babies! In mammals, the switch to ketogenesis is much slower, but faster for human beings. In diabetics, the high glucose inhibits uptake of ketones. Mark 9 – someone with epilepsy was brought before Jesus. Is this the first example of the ketogenic diet? What’s the fastest way of going into ketogenesis? Galen von Pergamon (born 129AD) – example of one of his patients, a fat boy and made him run before eating, i.e body was in a state of fasting – this is the fastest way of going into ketogenesis. – Dr John Rolle 1779 – 2 diabetics – cured via ketogenic diet. – Dr Harvey and William Banting – Letter on Corpulence. 1911 – 10 days’ fasting and patients did not have any more epileptic seizures. – 1997 Meryl Streep – “First do no harm” – Epilepsy cured by the ketogenic diet. 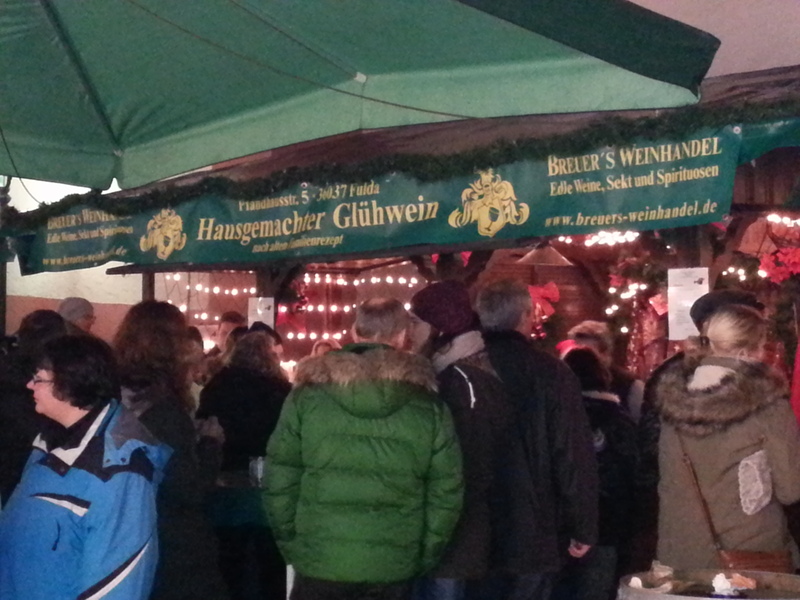 – University Hopstal of Warzburg – Alzheimer’s – showed that ketone bodies had neuroprotective ability. It has been demonstrated that an increase in Diabetes type 2 leads to an increase in carcinogenesis. Mild ketogenic diet: 64% fat, 6% carbs, 30% protein. Hyper ketogenic diet: 90% fat, 8% protein, 2% carbohydrates. This sort of diet needs MAP. Proteins have nitrogen residue and provide glucose. Plant proteins provide 30% to 40% more glucose than animal proteins. Problems with too little protein on the hyper ketogenic diet: osteoporosis, acid metabolism, hypoproteinase – limits growth. 8% of protein is not enough for a 5 year old. So we need to add essential amino acids. MAP is a buffer for bicarbonate. As for the issue of cholesterol – don’t lower by using statins. This is like asking the fire fighters to com e in. With MAP, there is no catabolic process so no ammonia can be degraded into sugar. It works as one whole block. MAP increases ketogenesis faster, and decreases insulin growth factor. My blog has recently been added to Blog Nation, which is part of one of the largest networks of blog directories on the Web. Please visit my blog’s personal page to vote for my blog and comment to other blog users.